Special achievements and events deserve distinguished recognition. With over four decades of continued success, Lombardo Mint products and services will demonstrate the extent of your appreciation, and the care you wish to take in honoring and marking life’s important events and successes. a complete line of custom and standard packaging and presentations. 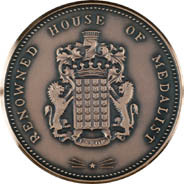 a full minting service, specializing from artistic designs, to dies, to finished product. 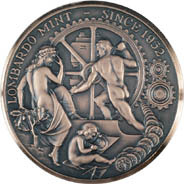 minting flexibility enabling small and large production runs. guaranteed delivery for critical deadlines.